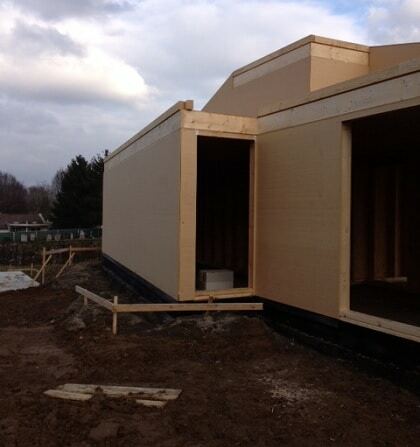 When an Eco-Building Contractor heard about TRITOflex, he knew it was the best choice for many building envelope areas of this Eco-House in Holland. The Eco-Building contractor and the architect for this new Eco-House being planned for construction in Heerlen required the use of only green, environmentally friendly products throughout the building envelope. From the concrete foundation and slab to the roof, high quality waterproofing with only green products was desired. 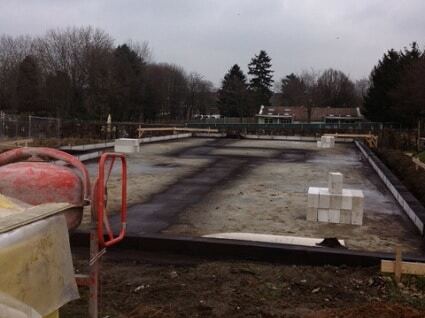 Triton Europe recommended a TRITOflex liquid rubber waterproofing system to be installed throughout the building. TRITOflex is a green product: water-based, no VOC’s, and environmentally friendly. It is an extremely flexible and durable waterproofing system that can be used for the entire building, from the foundation to the roof. With its ability to adhere to virtually any substrate, TRITOflex could be used in many areas with this new project and would protect this important investment from the elements. The architect and contractor were excited about choosing TRITOflex for this project. First, the foundation and concrete floor joints were sprayed with 80 mils (2 mm) of TRITOflex instant-setting liquid rubber membrane. After that, they sprayed TRITOflex to flash the foundation to the supporting walls in order to protect against any rising water. A week later, they finished the construction of the house and then sprayed a 80 mil (2 mm) TRITOflex membrane directly over the plywood roof deck since the insulation was installed from underneath the deck. This house is now watertight from top to bottom and will be well protected by the durable and strong, yet flexible, TRITOflex system.